Project Learn | Read. Achieve. Succeed. Project Learn invites you to join us in celebrating National Adult Education and Family Literacy Week (NAEFLW), October 18 – 24, 2009. This Congressional declaration is the culmination of literacy advocacy and outreach resulting in 26 co-signers in the House. Congresswoman Betty Sutton and Congressman Tim Ryan also voted in favor of the bill. This acknowledgement sheds light into the problem that is our nation is facing. The National Assessment of Adult Literacy reports that 90 million adults lack the literacy, numeracy or English language skills to succeed at home, in the workplace and in society. Locally, the need for Project Learn’s programs and services are at an all time high. As of October 15, all ABE (literacy and GED) appointments for November are filled. Two hundred students made appointments for orientation in just seven hours! Unfortunately, we now have to tell all perspective students to wait until November 16 to make an appointment for December. 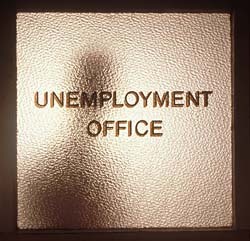 The Detroit Free Press reported that low level of literacy adds fuel to employment crisis. Very true. In Summit County, Ohio, there are 45,000 adults who don’t read well enough to earn a living wage. There is also 52,000 adults over the age of 25 who lack a high school diploma. This is a problem for people who need to be able to read and possess a high school diploma to work a job that pays well enough to support their families. Although Project Learn serves adults in Summit and Portage county who are in need of literacy skills, we recognize that low literacy is a national problem. Detroit (Michigan) has about 365,000 residents age 16 and older who read below sixth-grade level. That’s more than a third of a city that is losing residents every year. Read more about Detroit’s problem here. More than 185 Project Learn students have earned GED diplomas since last June. On Tuesday, about 45 of them attended a graduation to honor their accomplishments. One of the graduates, Samuel Potter, dropped out of high school 14 years ago. He once considered himself an “under-achiever” who was more interested in making money than learning. However, in 2008, Potter realized he wanted a change in his life. He came to Project Learn for help earning his GED. His goal was to become more competitive in the job market. Not only did Potter earn his GED, but he is now the CEO of his own computer software company and will release a science fiction strategy game next month. Potter was also honored with an award for being Project Learn’s top scholar for the 2008-2009 program year. He earned this distinction by scoring 752 out of 800 possible points on the official GED test. “Getting my GED gave me the confidence to do what I never did, and the credibility to be great in life,” Potter said. These three words describe the more than 165 GED students who received their GED diploma in the FY 2008-2009 program year. “Our GED graduates are high on motivation and are an inspiration for other students who aspire to achieve the same goal,” said Executive Director Rick McIntosh. For these students, June 23, 2009 could not come any sooner. Approximately 75 students are expected to participate in the agency’s annual GED Recognition and Graduation ceremony next Tuesday. Students and volunteers will also be recognized for their progress in their class curriculum and devotion to volunteering and tutoring. Maurice Thomas, former Project Learn GED graduate, will give an inspirational speech to this year’s graduates. Thomas will graduate with his bachelor’s degree in emergency management in December. David Jennings, executive director of the Akron-Summit County Public Library, will serve as the ceremony’s keynote speaker and will discuss the importance of education. The graduation and recognition ceremony will be held in the auditorium of the Akron-Summit County Public Library. The ceremony will begin at 6 p.m. Admission is free and open to the public. Project Learn of Summit County was recently rated an “exemplary” program by the Ohio Board of Regents. Project Learn students and staff talk about what the rating says about the agency’s culture, program and teachers. Last week Maurice Thomas, a 2006 GED graduate, stopped by to share his educational accomplishments. He received his associate’s degree in fire protection last year and will be graduating from the University of Akron in December with a bachelor’s degree in emergency management. Maurice dropped out of high school when he was in the 10th grade so that he could take care of his daughter. After seeing where the economy was headed, he decided it was time to finish his education. Maurice said he wants African-American males to use him as an example. To read more student success stories, click here. Project Learn has decided to add a new feature to this blog. “Meet the Board” will be a weekly post that will feature a new Project Learn board member who will share why they decided to get involved with Project Learn and their thoughts on literacy and personal experiences with education. 1. What is your name, title and employer? 2. Do you hold a specific seat on the Board? I serve as chair of the program committee. This allows me stay in touch with the many programs Project Learn offers and to involve students from the University of Akron with program activities. 3. Why did you choose to become involved with Project Learn? I have been involved with adult literacy for many years, as a volunteer initially, then as a family literacy coordinator in another county, as a member of a reading group for adult readers and now with Project Learn. I was aware of the good work Project Learn was doing in the Akron/Summit County community and so when I began to teach at the University of Akron I wanted to get involved locally. I’m glad I did. 4. In your opinion, what is the value of education? Education creates opportunity and can open doors to options. Options are part of freedom in life. South African leader Nelson Mandela once said: “Education is the most powerful weapon which you can use to change the world.” It can change the world of the individual and of the community. A woman who works for children’s rights, Marion Wright Edelman says that “Education is for improving the lives of others and for leaving your community and world better than you found it.” It is all about hope and possibility. 5. In Summit County, more than 62,000 people over the age of 18 lack a high school diploma. How do you interpret this? This reflects the trend nationally and continues to need attention. The kinds of jobs available has changed as plants and factories have closed or downsized. Additional skills and abilities are now needed. Our schools are working through reform efforts that make learning more meaningful and relevant, that consider new structures for high school, and ways we can assess learning beyond one test. A program with The University of Akron, Early College High School, is one new approach to high school that helps prepare students for careers as well as college. 6. What is your favorite book? Why? This is such a hard question… There are some I keep coming back to and read again and again like One Hundred Years of Solitude by Gabriel Garcia Marquez, a delightful and magical story of generations of a family in a village over 100 years and all that can happen in life. I enjoy escaping in mysteries like Walter Moseley’s series of Easy Rawlins crime and PI adventures set in L.A. over the decades. I like to get to know characters in a story. As a child I enjoyed Pippi Longstocking’s zany adventures and Nancy Drew’s clever solving of mysteries. I teach children’s literature so I very much enjoy exploring books I can recommend to teachers and children, readers of all ages. And lately I’ve been thinking about my grandmother who grew up in Finland. I never heard her story about those times. So I have been reading information about what Finland is like, imagining her life. I hope someday I will travel there to learn more. 7. Finish this sentence: Reading allows me …. to enjoy who we are and can be, to go to new places, to learn new things and new words. Mary McLeod Bethune said that “The whole world opened to me when I learned to read.” I agree. 8. Is there anything else you’d like to share? I feel fortunate to be part of Project Learn and so appreciate the tremendous work of the teachers, staff and students. Every time I go to a Project Learn graduation I am moved by the stories of students and so proud of the work they have done. B.B. King, the blues guitarist, reminds us that “The beautiful thing about learning is that no one can take it away from you.” They will have that degree and the experience of learning forever.